Are you aware of fastest growing Internet Marketing Technologies? SEO(Search Engine Optimization),PPC(Pay Per Click),Social Media Blogs,Professional Networks,Popular Websites are some of effective Internet Marketing Tools that most of the business depends on. Save up to 60% of Sales and Marketing cost with online advertising. You can expand your business to a wider geographical area by marketing it online. Your competitors are getting customers online ...don't get left behind. Generate more qualified business leads & convert into sales. 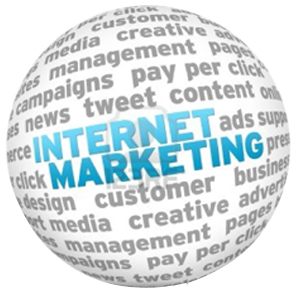 Increase business revenue by adopting Internet Marketing Technics and tools. You can concentrate on your business.we will help you to improve your states and build your brand with minimum cost.